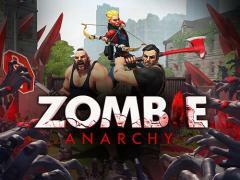 Zombie anarchy - try to survive in the city seized by zombie apocalypse. Build and defend a base, gather the survived, destroy zombies. Explore a post apocalypse world of this exciting Android game looking for the secret places with supplies and survived citizens. Gather a team of strong heroes each having his secrets, weapons and skills. 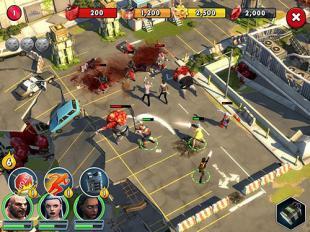 Take the heroes into the battle against hordes of zombies. Build strong walls and defense towers around your base. Attack bases of other players to rob them and get valuable resources. Online strategy on android where you will survive in the post apocalyptic world. 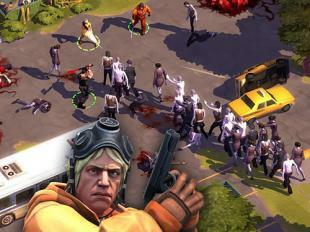 On Earth came the zombie apocalypse and your task will survive by any means. Lead a continuous struggle with walking dead men and look for your allies who will take up arms and together with you stand on the defense of your camp. Always train new recruits to the art of war and keep arms in hand. 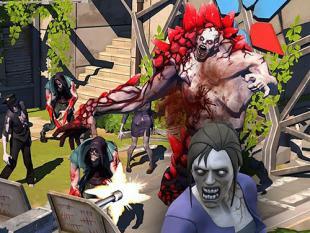 Join the battle with zombies and people who want to harm your group and destroy your camp. Protect your camp from looters and uncover all the secrets of the apocalypse. Survive in extreme conditions and discover new types of weapons and ammunition. Now you can play the world famous card game in the most faithful recreation ever! Block Breaker 3 Unlimited - Grab power-ups, trigger switches and blast through gateways to reach new areas as you push your way towards the top. · Innovative new scrolling level design adds depth to all 100 of the game's stages · Tons of new power-ups including the ability to deal with multiple balls.. The official game of NBC's famous TV game show 1 vs. 100 on your iPhone / iPod Touch!